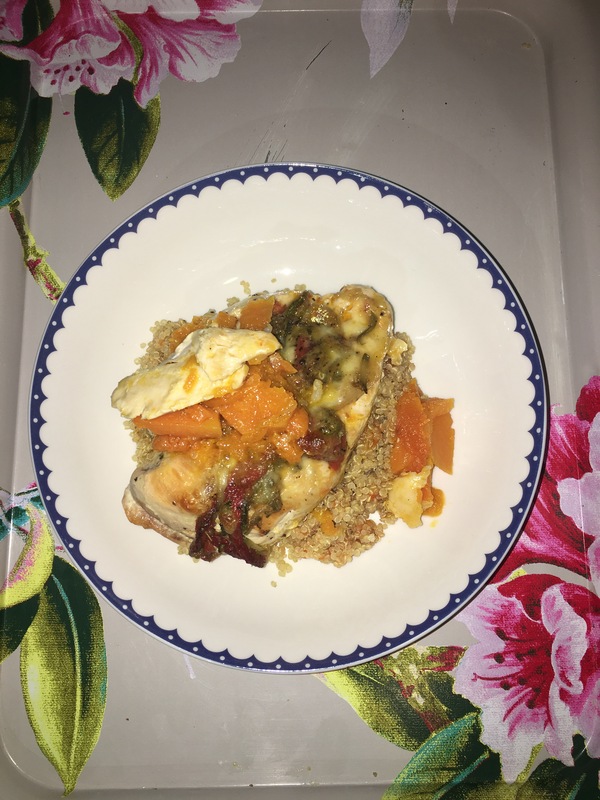 Quinoa is a healthy protein rich alternative to rice and I love using it as a starch replacement for our meals. 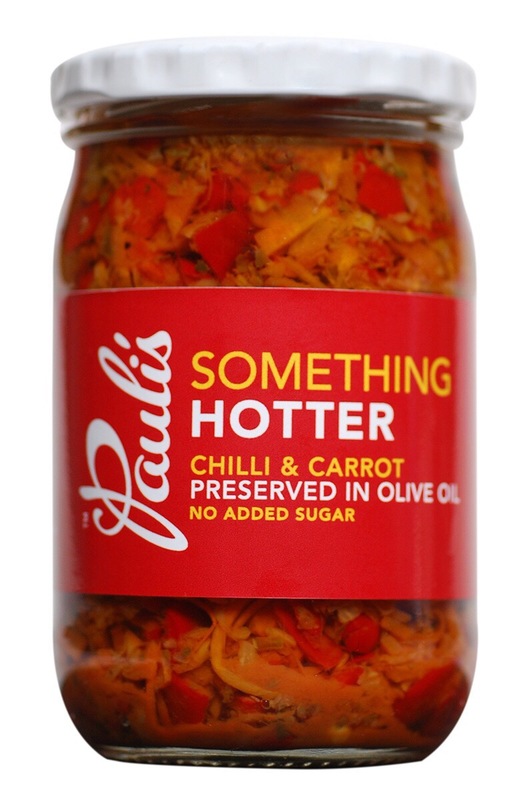 The other day I added Pauli’s Saffron Chilli Chutney to the mix and the result… Deliciously gourmet. 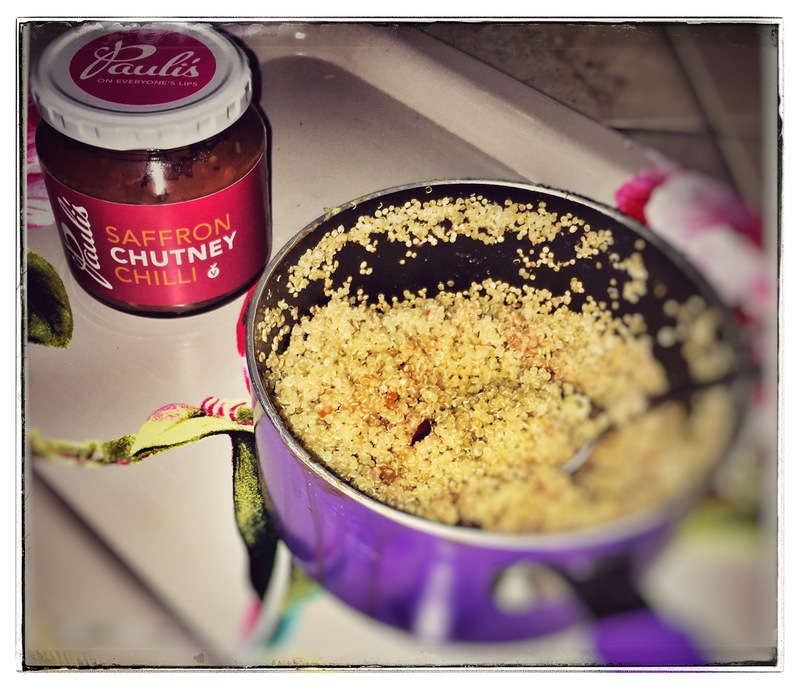 Our Saffron Chilli Chutney has beautiful honey notes and the nutty flavour of the quinoa blends beautifully together. I must admit… cooking chicken breasts is not my favourite, I find them quite bland and dry to eat. I have now found the perfect way to make this dish… I use our delicious and versatile Anytime Zucchini & Peppers sauce to add flavour and zest to what otherwise is an ordinary meal. I slice the chicken longways, add forkfuls of Zucchini & Peppers, add some feta or mozzarella, and bake for 20 minutes in the oven (at 180 degrees). Anytime Zucchini & Peppers makes this meal oh-so flavoursome and super healthy… No added sugar or carbs. Perfect every time and Anytime! Enjoy. Lamb chops basted with our delicious Saffron Chilli Chutney is the ultimate Friday night treat for dinner (and so simple to make). 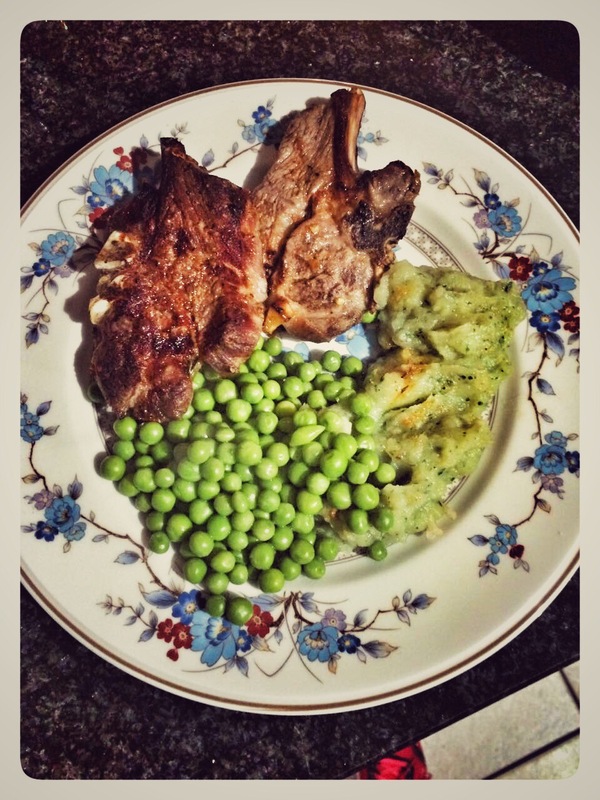 We served it with sweet potato and baby spinach mash and mint peas. Simply gourmet. 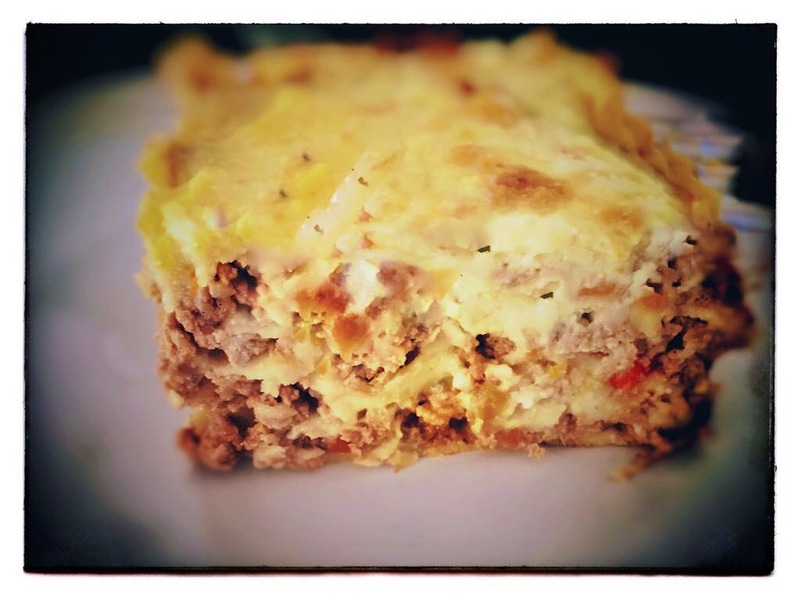 Lasagna is my go-to meal when I don’t feel inspired on ‘what’ to cook. I add 3 tablespoons of Tomali to enhance the flavours. 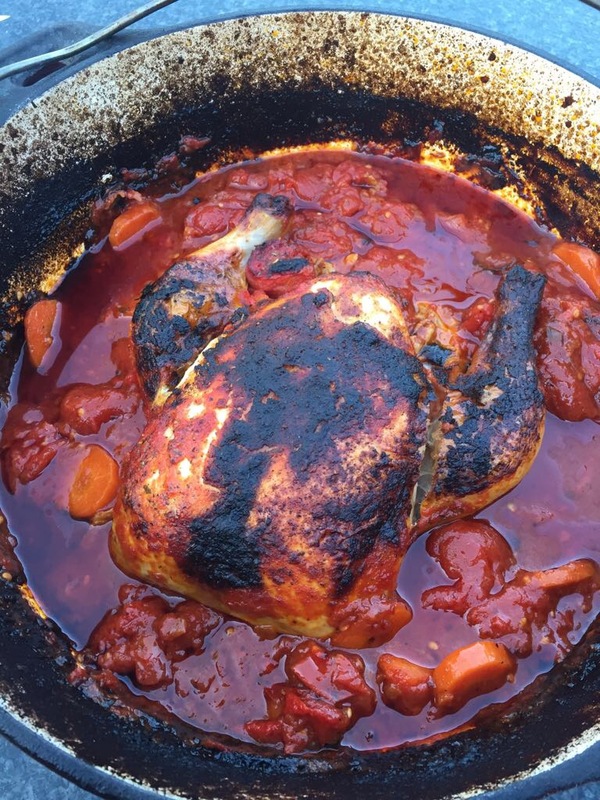 Tomali is Italian inspired and contains smoked paprika, Italian plum tomatoes and mild masala. The lasagna I make is carb-free, I replace the pasta with sliced Zucchini or Brinjal to ensure that the dish contains healthy fats (instead of a traditional Bechamel sauce I make a cauliflower cheese sauce with no corn starch), fibre and vegetables. Tonight I am cooking a Chicken Thai Red Curry and instead of using shop bought curry paste (unfortunately most curry pastes will contain harmful Xanthan Gum and other preservatives) I used a tablespoon of our delicious Thai-styled Something Hotter and blended it with a big dollop of plain Greek yoghurt (not necessary for extreme Chilli lovers). The quest for eating good, healthy food should not mean eating tasteless, bland meals. 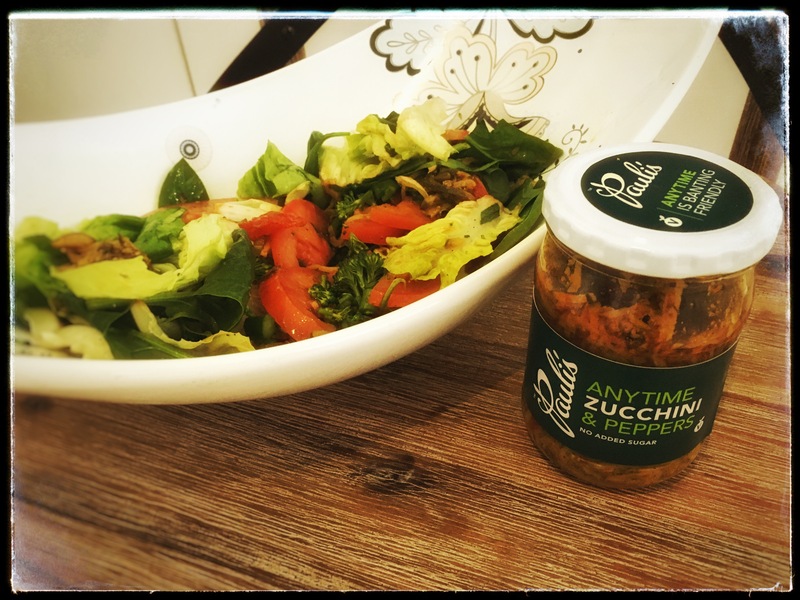 Pauli’s Anytime Zucchini & Peppers is my favourite addition to any salad… It adds zest, roasted flavours and goodness. If all you have in your fridge is lettuce, tomatoes and cucumber… your salad will instantly become gourmet if you throw some Zucchini & Peppers into the mix. This product has no added sugar and contains only extra virgin olive oil… so is great if you are leading a low carb-high fat diet. Potjiekos is a traditional South African meal cooked in a cast iron, 3 legged pot (the potjie), cooked for hours over an open fire. I remember fondly my uncles and Dad chatting together as the potjie bubbled away, stoking the fire; while the women bonded in the kitchen, making home-made bread and other side dishes. As kids we would run around, playing, playing and playing some more, smelling the delicious meal being cooked on the fire and waiting patiently to eat it. These potjie gatherings were epic and it took hours before we ate. The fire would be started in the morning and the potjie would only be eaten in the early evening. We have bought a beautiful red cast iron pot for the Pauli’s kitchen, that we use in our pizza oven at home (it’s not the old-school black 3 legged pot, but it does the trick) and we cooked a whole chicken, some root vegetables, half a bottle of red wine (it’s important to ensure lots of liquid remains in the pot) and added 3 tablespoons of Pauli’s Tasty Tomali to the dish. The results were an empty pot at the end of the meal… It took me straight back to my childhood. 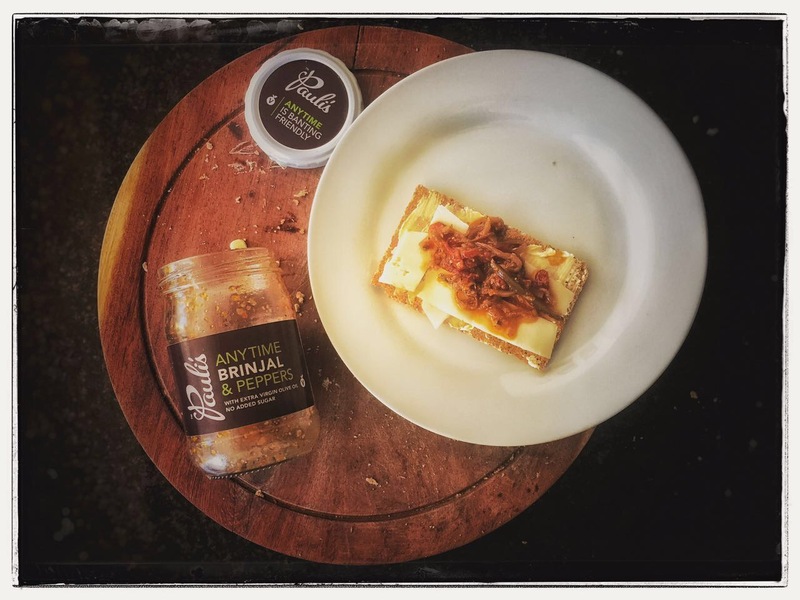 Pauli’s Saffron Chilli Chutney is the perfect accompaniment to your Sunday breakfast. 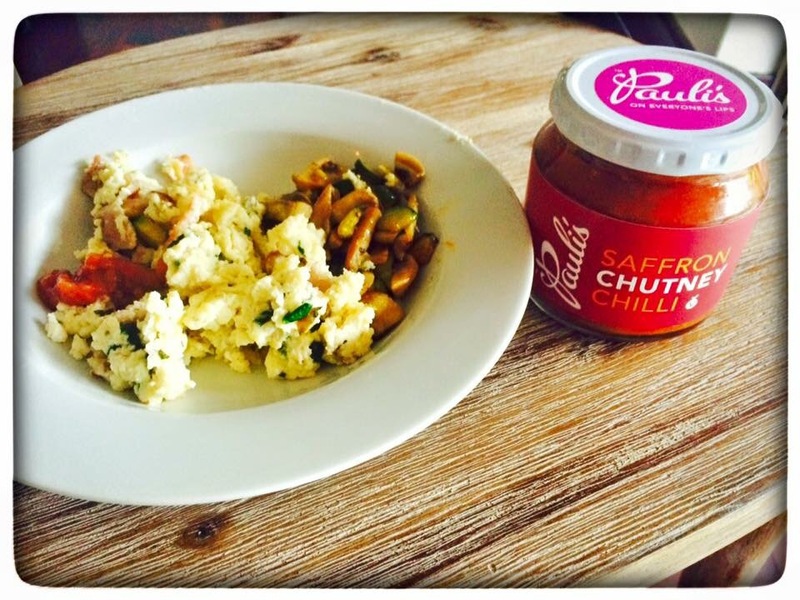 Scrambled eggs, mushrooms, fresh chives and a healthy dollop of our delicious chutney. Contains low sugar and low sodium, soft honey notes of the royal Saffron spice. Go on… Spoil yourself this Sunday. Our story begins almost 5 years ago when my husband, Pauli and I, decided to start a food company… producing and selling artisanal sauces. The word artisanal has the potential to sound pretentious, worry not. What it means to us is that our sauces are hand made, slow cooked and contain no harmful products. They have integrity that can be tasted. It is really important to us that our family eats healthily and makes better choices about what we buy and eat. 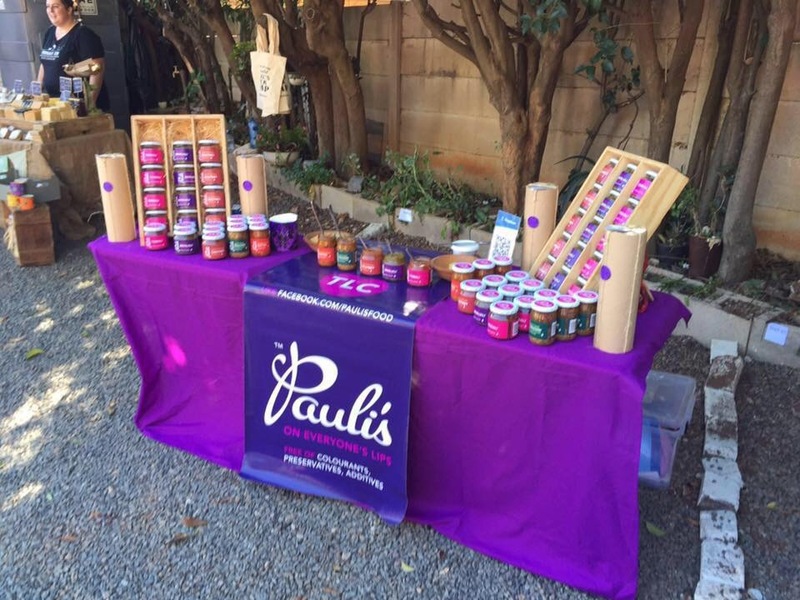 So we started Pauli’s Food Company to help us (and other consumers) on our way.